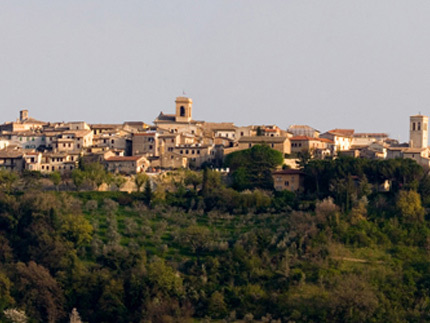 Montefalco is known as the balcony of Umbria for its panorama position. 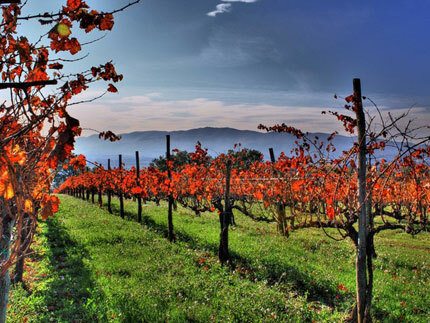 It is surrounded by extensive dive groves and this area is known for its excellent wines including the prestigious Sagrantino and Rosso di Montefalco. During the 12 C. the town was ruled by the town hall. 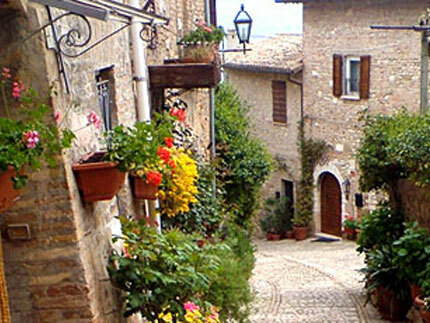 In the middle ages the town was known as Coccorone and in 1249 Montefalco adopted its new name. In the circular square there’s the town hall built during the 13 C. with a 15 C. portic. On the left is the church of S. Filippo Neri converted into a theatre in 1895, near there’s the oratory of S. Maria di Piazza. The masterpiece of Montefalco is the church of S. Francesco which houses interesting frescoes, a civic museum, a Pinacoteca and an Archeological section. This church was built in 1335-1338 and it contains the greatest piece of work painted by Benozzo Gozzoli, by Perugino, by Tiberio D’Assisi, by Giovanni di Corraduccio and Nicolo’ Alunno. 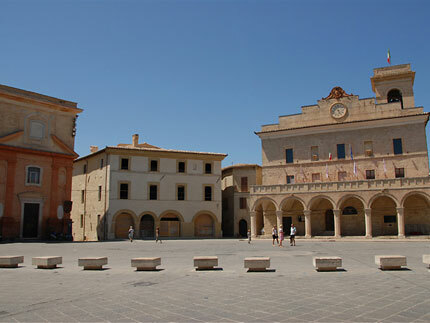 The main street of the town is “Corso Mameli“ which leads down form the town hall square to a medieval square.